Day 34: Is That A Turtle On Your Head Or Are You Just Glad To See Me? I was walking to work today. Just minding my own business. A gorgeous day in Beijing. I was stopped dead in my tracks. Stunned at first, I broke into a huge smile. And watched as she walked by me. 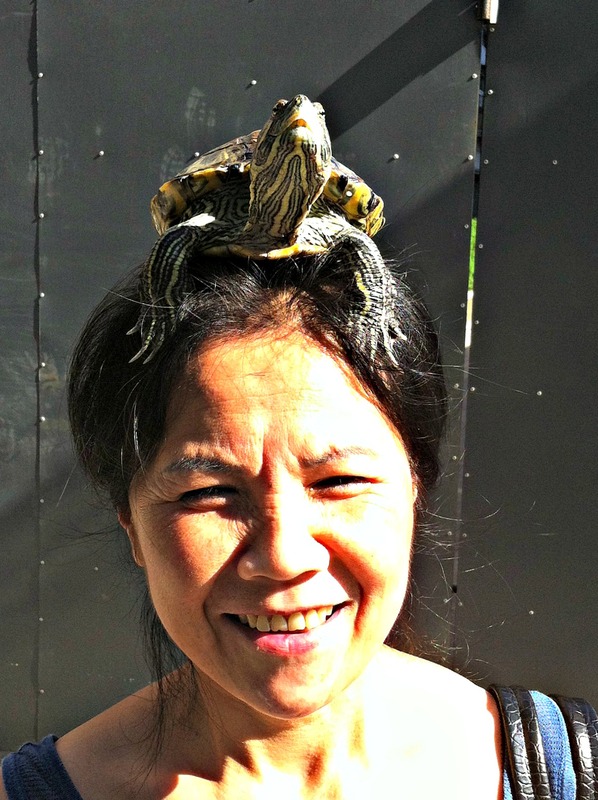 With a turtle on her head. Nothing to see here. Move along. Just a turtle on her head. I stared, ran after her, and asked her for a photograph. There were loads of people walking by and they all started smiling and laughing. Because I was taking a picture.